Including a yoke in your stall door can offer your horses the opportunity to stick their heads into the aisle to see people and other animals. While a yoke isn’t appropriate for every single horse, it can help prevent boredom and offer socialization for some horses. 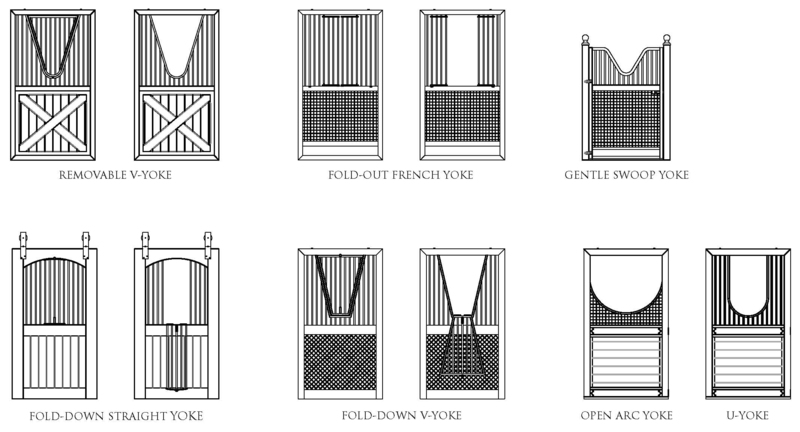 See the drawings below for some sample yoke designs from Lucas Equine.